BoBunny Lace and Blossoms are simply a delight! Play along with our day 28 giveaway for your chance to win these products! Have you ever worked with wet Double Dot cardstock? Yes, I did say wet! Keri has prepared a fabulous video tutorial! Today I am sharing a video tutorial with you, showcasing a fun technique using wet Double Dot cardstock. Yes, that's right, we're going to get the cardstock wet and then mold it! If you've never tried molding wet cardstock, I encourage to join me with this fun and easy, out-of-the-box technique. In the tutorial video, I create two projects. 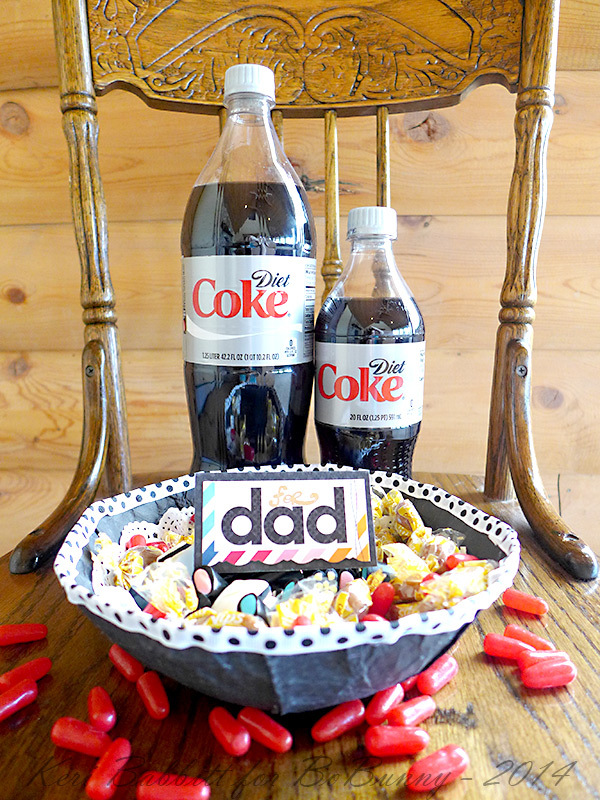 The first is a simple gift idea for Father's Day, a treat bowl, perfect for letting the kids join in on the crafting fun. The second project is a custom embellishment set, created by molding small cardstock circles around buttons, and then filling them with tiny treasures and glossy liquid adhesive. I hope you enjoyed my first photo tutorial for BoBunny, thanks so much for joining me! I would use the lace and flowers on scrapbook layouts, I love going to the botanical gardens here and these would be perfect with those pictures. I like to make dolls with them. I would love to use these supplies on my cards and tags. Thanks! Love using lace and flowers on girly cards!! about everything that BoBunny comes out with! Have a great day everyone! Love the purples in the layout. I'd use the lace and flowers for my greeting cards. If I ever get to my mixed media projects that I have planned - they'll go into those too. The flowers and lace would work great on cards, tags and scrapbook pages. Rippling with wet cardstock, yes, I knew about that. But this??? Wow!!! And those blossoms and lace are adorable. So many places to stick 'em!!!! Definitely will have to try this technique!! Oh, I'm going to try this today! Have only wet paper to tear it, but this looks like fun! I would use the lace and flowers for scrapbooking and maybe some card making too. I would use the lace and flowers on my scrapbook layout and or my mini albums ! My favorite way to use flowers and lace is to put them on any crafting project that I want to be very pretty!!! Flowers lace are great embellishments!! Great ideas on the blog too today!! Thank you!! Love the embellishments!! What a fun project Keri. I love the Fathers Day bowl and your layout is gorgeous. I would use the lace and flowers as embellishments on cards and scrapbook layouts. Thanks for the chance to win. Beautiful spring/summer colors. Perfect to use on my cards and layouts. Thanks for the chance to win. 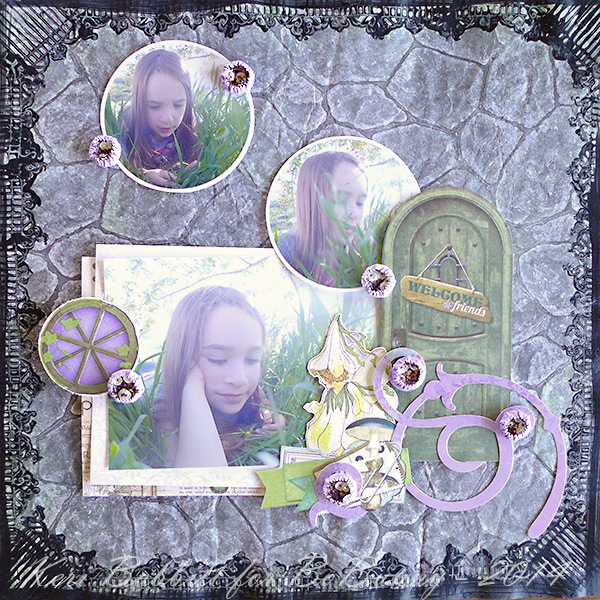 Secret Garden layout is lovely! Beautiful lace and flowers, so vibrant! I would use these to embellish cards and boxes. Beautiful projects! Thanks for sharing! I would love to have these lovely embellies! My layouts and cards would be sooooo much prettier!!! Thanks for the chance to win! I would definitely try to include the ribbon & flowers on the same project since they match so well. I would so use the lace & flower!! Lovely colors....pink and green go so well together and I don't have anything like the laces. Beautiful projects and great colors for both of them. I would use the trims and flowers to make some cards. You know, layouts are never finished without the Bo Bunny flowers and trims. Love your layout and Father's Day project! Love seeing Father's Day projects! Very cool tutorial, I'll have to try that some day! As for the giveaway, no layout is complete without flowers and usually lace as well. Love the colorful lace which means I don't have to ink it myself! I would love to use this for some layouts!!!! it would be great for some summer pages!! Love dot CS, but have never worked with it wet. That is about to change! Thanks for the tutorial. Love this layout! I would make lots of cards! I would love to use the lace and flowers on layouts. Hmm, wet double dot. I think I need to give that a try. Love the Lace & Blossoms! and of course the double dot... wet is an interesting twist. Wow...never thought of doing that. I love learning new ways to show off my pictures! Flowers, I love the flowers !!! How I love to use flowers/ribbons/trims/etc? On my cards for OWH....or in some bright/beachy scrap layouts! i'd like create few beautiful cards&layouts with them) thanks for chanse! I would use the lace and the flowers for cards. They would be great for a cheery colorful card. 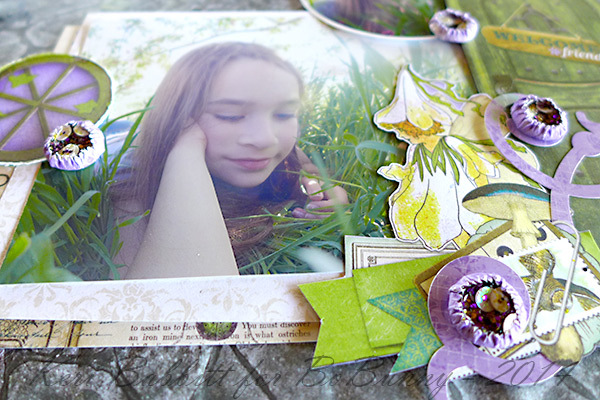 Lovely little girl layout - love the fairy theme. Those flowers would look good on everything and so would the matching lace. So many ideas in mind. Thanks for the chance to win. Adorable layout. I would use flowers and lace on a shabby chic layout and then make a card with the scraps. Love the layout! The ribbon is awesome - would use it on everything! Love it! CONGRATULATIONS & WELL DONE on your 1st post Keri!!! Perfect for cards and scrapping! i would use it all on cards and scrapbook layouts.